Home » Czech Republic , EU , Europe , Legislation » Czech Republic To Open Up Gambling Market? 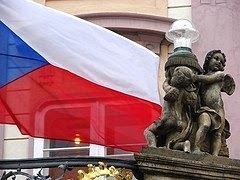 Czech Republic To Open Up Gambling Market? A Czech Ministry proposal backed by Deputy Finance Minister Ondrej Zavodsky will reportedly revamp existing gambling law to allow the inclusion of foreign online gambling operators who are currently prohibited by the requirement of having to have a retail presence in the country. According to Reuters, the proposal, which would go into effect in 2016 following Government consultations, also includes tightened regulations on betting machines in restaurants and petrol stations and will prevent welfare recipients from wagering. Opening up the market to registered foreign online gambling groups would provide much needed tax revenues for the Czech Ministry's coffers while providing Czech's with regulated and approved online gambling destinations which the Ministry believes will staunch the flow of potential tax revenues out of the country as citizens choose to play on foreign sites. The Ministry intends setting new tax rates with the hope of having them finalised by the end of 2014. "Users currently bet abroad, which several foreign companies make easier by introducing sites in Czech. According to our estimates, the state misses out on more than 1 billion crowns a year in this segment," Zavodsky said. The Czech Government commission estimates, Czechs gambled 135.5 billion crowns ($6.3 billion) in 2012. Only five domestic bookmakers provide retail and online operations in the country, including Fortuna Entertainment Group. Toronto-based Intertain Group Limited (Intertain) has entered into a non-binding letter of intent to acquire the entire issued share capital or all the assets of Dumarca Holdings Limited, the Malta-based parent company of the Vera&John online casino group. Intertain will cough up an initial consideration of Euro 44.5 million in cash and Euro 36.5 million in Intertain common shares. Under the terms of the agreement, Intertain may also have to make further cash payments if Vera&John generate EBITDA over agreed thresholds in 2015 and 2016 subject to a cap of Euro 8.1 million, which based on projections from current results is entirely possible. Assuming Intertain pays the maximum Earn Out amount, the total consideration paid for Vera&John will be an impressive Euro 89.1 million ($126.1 million). Vera&John, is a fully-integrated global online casino, operating in 11 countries globally under three core brands: Vera&John, Vera&Juan and Vera&John Social. The operator generates approximately 75% of its sales from the Nordic region, which will give Intertain access to a growing and large market, a statement said. Furthermore, Vera&John has developed and owns a fully-integrated, proprietary software offering, giving us future flexibility with respect to our business, said John Kennedy FitzGerald, chief executive officer of Intertain. Vera&John also has a mobile platform, including a leading mobile casino, with 35% of their expected 2014 sales being generated through this growing medium. We are very excited about this transaction and feel both parties bring excellent value going forward. Intertain will retain all 103 Vera&John employees as well as the senior management team, who along with the founders of Vera&John will hold a 13% stake in Intertain following the acquisition. We reviewed alternatives to this deal and felt Intertain was the best partner, given their aligned interest and exciting growth prospects, said Dan Anderson, director of Dumarca Holdings. Intertain currently offers casino, bingo and poker through its InterCasino, InterPoker, Costa and other brands. The InterCasio and InterPoker gaming platforms are powered by Amaya Gaming Group while its bingo offers is powered by 888 Holdings' Dragonfish platform.